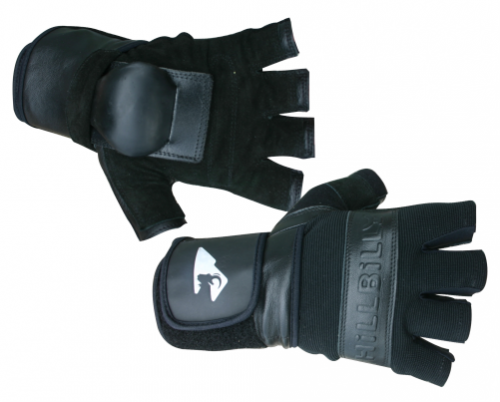 New and Improved Hillbilly Half Finger Gloves are heavy doody� because they are made with goatskin and double stitched with heavy doody nylon thread. The goat ain't happy. You and your wrists will be! Convenient half length fingers allow you to do all you need to without ever taking your gloves off.